EMETOPHOBIA or the fear of being sick, puking, throwing up, gagging, choking, vomit phobia, sickness phobia. 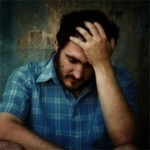 If you are looking for help with Emetophobia with permanent results then please contact me at Ulster Hypnotherapy N.I. – Northern Ireland. EMETOPHOBIA or a fear of being sick, phagophobia, vomitophobia, gagging, choking, vomit phobia, sickness phobia, fear of puke, puking, vomit, vomiting…..whatever you want to call it, it can now be successfully helped by Stephen Chan using hypnosis, hypnotherapy and the Thrive Programme® which is a specialised research backed psychological mind training programme in Portadown and Newry, within easy reach of Belfast, Lisburn, Antrim, Lurgan, Armagh and Dungannon. If you have a fear of being sick, puke, puking, chucking up, gagging, choking, vomit, vomiting or throwing up, you are not alone: this happens to be the sixth most common phobia in the UK and Northern Ireland and seems to be more common with women than men. At Ulster Hypnotherapy Stephen Chan specialises in helping people with a fear of being sick, which can and does affect people in many, many different ways. For example, it doesn’t necessarily even have to be the fear of being sick themselves, it can be the fear of seeing others being sick: or sick, puke or vomit being mentioned in conversation the sight of puke or vomit, or the smell or sound of someone else being sick can even be enough to cause a phobic reaction, bringing with it all the intense feelings of fear, disgust, panic and, you’ve guessed it, feeling sick. Understandably if you have a fear of sick you will want to avoid all places where there is a possibility of yourself (or others) being sick e.g. pubs, restaurants, clubs, eating in front of others etc. Also because of the link between eating and being sick, you could be excused for being a little obsessive and ‘picky’ about what and where they will eat. This can also lead to a pre-occupation with sickness and illness, tummy bugs and food poisoning which results in the avoidance of rich foods, cream, cheese, spicy foods, milk, rice pudding, custard, even the very amounts and times of day they are eaten can become important in this battle to reduce the risks of ever feeling or being sick. Fear of motion sickness could make travelling in cars, trains, boats and planes a real problem and some women have even been known to develop a fear of pregnancy because of the possibility of morning sickness. My daughter started complaining of a sore stomach in her last year of primary school. Sore stomachs continued off and on so I took her to the doctor for fear of something being seriously wrong but the doctor gave her the all clear. She then started grammar school and things started to gradually take a down turn, where she started crying in the mornings not wanting to go to school which eventually lead to her refusing to go to school altogether and her behaviour began to get very disruptive. We took her to numerous professionals who could not find anything wrong other than slight anxiety. She eventually admitted to us that she had a fear of sick and this was why she refused to go to school as she was scared of others being sick or herself being sick, which explained why she was behaving out of character as we were forcing her to go to school and pushing her into her fear!! We were at our wits end to know what to do for we knew she needed to go to school for her education and her exams were coming up. It was her Granda then who had been looking up Emetophobia on the internet and found Stephen, so we decided to give him a ring and arrange an appointment to meet him. Stephen made us feel totally relaxed and was able to answer all our questions so we knew then he was the one to help our daughter!!. We were able to get an appointment for the following week which was brilliant. When we first walked in he greeted us like he’d known us for years and made us all feel so comfortable. Our daughter came out feeling great and couldn’t wait to see Stephen the following week. He taught her how to change her negative thoughts into positive thoughts and how feeling positive taught her to be confident and able to face her fear. She did have her ups and downs over the 6 week course but I can honestly say Stephen worked a miracle on our daughter. She has been going to school every day and looking forward to it and sees the positive side of everything now. We cannot thank you enough Stephen for all your help, kindness and support. You really have done an amazing job and we thank you so so much. Would you like to be like Mary and overcome the symptoms of Emetophobia permanently? Phone me on 07854 877 882. 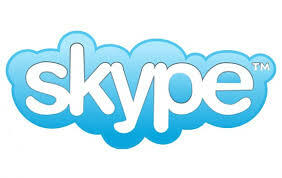 You can now arrange Thrive Programme® sessions anywhere in the world via Skype. Arrange Thrive Programme® sessions with me stephenchan247 anywhere in the world via Skype. I offer a free confidential consultation at my Portadown, Newry and Belfast Hypnotherapy clinics, which are within easy reach of Lisburn, Armagh, Antrim, Lurgan, Dungannon and Dundalk. There will be no need to speak to anyone other than myself and I promise that your problems will be discussed with the greatest of sensitivity and strictest confidence. Please note because of the volume of clientèle there is a strong possibility you will be connected to my personal answer phone, if this is the case just leave your name and number and, when I return the call, I will not give my name and I will ask for and talk only to you. Please feel free to contact me at Ulster Hypnotherapy to book your free consultation.